Abstract：The genetic diversity and genetic structure of 9 populations of Acanthochiton rubrolineatus in the Bohai Rim were analyzed using mitochondrial cytochrome c oxidase subunit Ⅰ (COⅠ). The COⅠ gene (654 bp) of 126A. rubrolineatus individuals were amplified and sequenced. Finally, a total of 29 haplotypes were detected by 41 polymorphic loci. The haplotype diversity of all samples was 0.899±0.013, and the nucleotide diversity was 0.013 3±0.006 8. There was a significant negative correlation between the population genetic diversity and latitude (r=-0.808, P<0.05) and annual mean temperature variation coefficient (r=-0.795, P<0.05), indicating that A. rubrolineatus was adaptive in the marine environment with low latitudes and stable temperature. The result of analysis of molecular variance showed that genetic variation occurred mainly within populations (83.26%, P<0.001). Phylogenetic tree and haplotype network did not show obvious phylogeographic structure. Demographic results showed that A. rubrolineatus had experienced population expansion during the late period of early Pleistocene (the second warm period) and interglacial period. 钱霞, 王明红, 阮树仁, 等. 2015. 红条毛肤石鳖齿舌主侧齿中的纳米磁铁矿Fe3O4[J]. 人工晶体学报, 44(6): 1656-1661. 王玲, 李琪, 孔令锋, 等. 2018. 基于COⅠ基因的中国沿海青蚶野生种群遗传结构及种群动态研究[J]. 海洋与湖沼, 49(1): 87-95. 张均龙, 史振平, 王承, 等. 2015. 基于壳板和齿舌形态对中国沿岸几种常见多板纲软体动物的分类研究[J]. 海洋科学, 39(11): 96-107. 赵青松, 金珊, 陈寅儿. 2007. 石鳖的结构与习性[J]. 水生态学杂志, 27(3): 46-47. 史博洋, 李媛媛, 王儒晓, 等. 2017. 基于线粒体16S rRNA探讨渤海海区矮拟帽贝的种群生态遗传[J]. 四川动物, 36(4): 386-391. Bandelt HJ, Forster P, Röhl A. 1999. Median-joining networks for inferring intraspecific phylogenies[J]. Molecular Biology and Evolution, 16: 37-48. Coakes SJ. 2013. SPSS version 20.0 for Windows[M]. New York: John Wiley & Sons. Cordero D, Delgado M, Liu B, et al. 2017. Population genetics of the Manila clam (Ruditapes philippinarum) introduced in north America and Europe[J]. Scientific Reports, 7: 39745. DOI: 10.1038/srep39745. Darriba D, Taboada GL, Doallo R, et al. 2012. jModelTest 2: more models, new heuristics and parallel computing[J]. Nature Methods, 9(8): 772. DOI: 10.1038/nmeth.2019. Excoffier L, Lischer HEL. 2010. Arlequin suite ver 3.5: a new series of programs to perform population genetics analyses under Linux and Windows[J]. Molecular Ecology Resources, 10(3): 564-567. Folmer O, Black M, Hoeh W, et al. 1994. DNA primers for amplification of mitochondrial cytochrome c oxidase subunit Ⅰ from diverse metazoan invertebrates[J]. Molecular Marine Biology and Biotechnology, 3(5): 294-299. Grant W, Bowen B. 1998. Shallow population histories in deep evolutionary lineages of marine fishes: insights from sardines and anchovies and lessons for conservation[J]. Journal of Heredity, 89(5): 415-426. Guindon S, Delsuc F, Dufayard JF, et al. 2010. Estimating maximum likelihood phylogenies with PhyML[J]. Methods in Molecular Biology, 537: 113-137. Larkin MA, Blackshields G, Brown NP, et al. 2007. Clustal W and Clustal X version 2.0[J]. Bioinformatics, 23(21): 2947-2948. Lee HJ, Boulding EG. 2010. Spatial and temporal population genetic structure of four northeastern Pacific littorinid gastropods: the effect of mode of larval development on variation at one mitochondrial and two nuclear DNA markers[J]. Molecular Ecology, 18(10): 2165-2184. Li S, Li Q, Yu H, et al. 2015. Genetic variation and population structure of the Pacific oyster Crassostrea gigas, in the northwestern Pacific inferred from mitochondrial COⅠ sequences[J]. Fisheries Science, 81(6): 1071-1082. Librado P, Rozas J. 2009. DnaSP v5: a software for comprehensive analysis of DNA polymorphism data[J]. Bioinformatics, 25(11): 1451-1452. Monari M, Matozzo V, Foschi J, et al. 2007. Effects of high temperatures on functional responses of haemocytes in the clam Chamelea gallina[J]. Fish & Shellfish Immunology, 22(1): 98-114. Ni G, Li Q, Kong L, et al. 2012. Phylogeography of bivalve Cyclina sinensis: testing the historical glaciations and Changjiang River outflow hypotheses in northwestern Pacific[J]. PLoS ONE, 7(11): 1-11. Nylander JAA. 2004. MRMODELTEST, version 2.0. Program distributed by the author[J]. Evolutionary Biology Centre Uppsala University, 2: 1-2. Palumbi SR. 1994. Genetic divergence, reproductive isolation, and marine speciation[J]. Annual Review of Ecology & Systematics, 25(25): 547-572. Polzin T, Daneshmand SV. 2003. On Steiner trees and minimum spanning trees in hypergraphs[J]. Operations Research Letters, 31(1): 12-20. Ronquist F, Teslenko M, Mark PVD, et al. 2012. MrBayes 3.2: efficient Bayesian phylogenetic inference and model choice across a large model space[J]. Systematic Biology, 61(3): 539-542. Shen KN, Jamandre BW, Hsu CC, et al. 2011. Plio-Pleistocene sea level and temperature fluctuations in the northwestern Pacific promoted speciation in the globally-distributed flathead mullet Mugil cephalus[J]. BMC Evolutionary Biology, 11: 83. Surhone LM, Tennoe MT, Henssonow SF, et al. 2010. Tree view[M]. Hong Kong: Betascript Publishing: 28-143. Yu JH, Song JH, Minchul C, et al. 2009. Effects of water temperature change on immune function in surf clams, Mactra veneriformis (Bivalvia: Mactridae)[J]. Journal of Invertebrate Pathology, 102(1): 30-35. Zhou N, Shen H, Cheng C, et al. 2016. 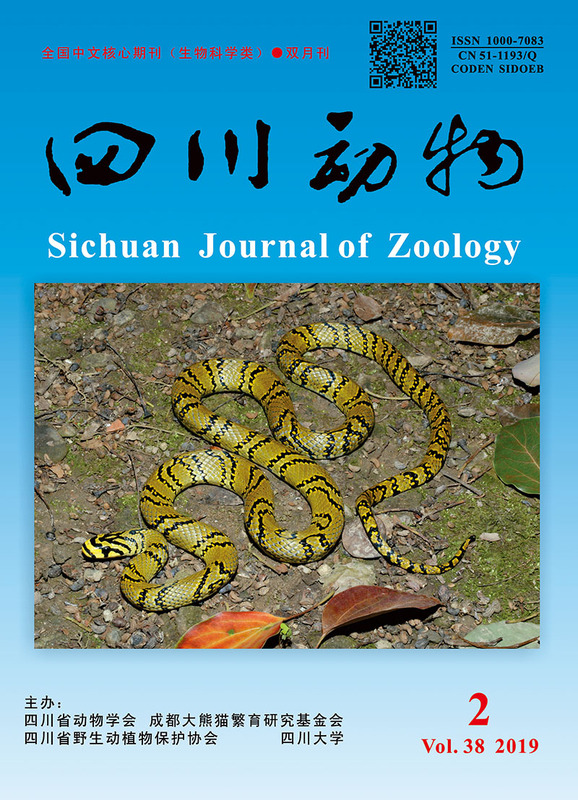 Genetic structure of Onchidium "struma" (Mollusca: Gastropoda: Eupulmonata) from the coastal area of China based on mtCOⅠ[J]. Mitochondrial DNA Part A: DNA Mapping Sequencing & Analysis, 27(2): 1319-1323.